Pacific Church Network is partnering with Guidestone which offers numerous tools and resources designed to help you start strong toward your retirement income goals. MyGuideStone™. GuideStone participants have a personalized home page called MyGuideStone. Here participants can instantly adjust their portfolio, update their account and customize their personal dashboard. They also receive important notices, such as quarterly account statements, through eDelivery. View a video about the benefits of MyGuideStone. 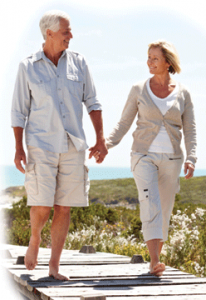 Retirement Planning & Guidance. No matter where you are on your retirement journey, we have the resources you need to help you every step of the way. Quarterly account statements. With GuideStone’s account statements, participants can view their account information, see the potential impact of a contribution increase, see specific details about their funds and stay updated with helpful messages and tips. Review four retirement planning tips every young investor should consider. Investing in yourself: the benefits of starting early. Learn about Roth elective deferrals and decide if this option is right for you. Use our Retirement Income Calculator to estimate the amount of income you may receive in retirement. Try our Retirement Plan Savings Calculator to see how investing in a retirement plan can provide the income you need in the future. Get answers to common retirement account questions. Subscribe to timely and informative newsletters. See contribution limits for retirement plans and IRAs. Visit our Learning Library to access other tools, resources and articles designed to help you reach your personal finance and retirement income goals. Participants can take advantage of many other areas of support from GuideStone, including informative webinars, online presentations and newsletters. And, of course, our live customer solutions experts are always ready to answer your questions at 1-888-98-GUIDE (1-888-984-8433) between 7 a.m. and 6 p.m. CST Monday–Friday. You can also email us at your convenience. You may also call PCN's office at 909.944.5900. *Financial advice provided by GuideStone Advisors, a controlled affiliate of GuideStone Financial Resources. A 403(b)(9) is a defined contribution plan specifically designed for the unique needs of evangelical churches or church organizations. While similar to other 403(b) and 401(k) plans, 403(b)(9) plans are not subject to certain ERISA requirements, such as annual 5500 reporting. In addition, 403(b)(9) plans offer retired ministers the ability to have retirement distributions designated as housing allowance. All employees are eligible to participate unless the plan specifically excludes them. Based on specific plan provisions, participants can elect to have their employer to withhold money from their paycheck that can be contributed as a tax-sheltered, after-tax or Roth elective deferral contribution. Based on specific plan provisions, employers can make matching, non-matching or discretionary contributions. The employer has flexibility in determining which employees are eligible. As an example, an employer may impose age and/or service requirements before an employee can participate in the plan. Employer contributions are not subject to Social Security tax or income tax at the time of the contribution. Earnings on all contributions and rollovers are tax-deferred. Earnings on Roth elective deferral contributions can be withdrawn tax-free if certain conditions are met. Retirees who are ministers may have retirement benefits designated as a tax-free housing allowance within legal limits.